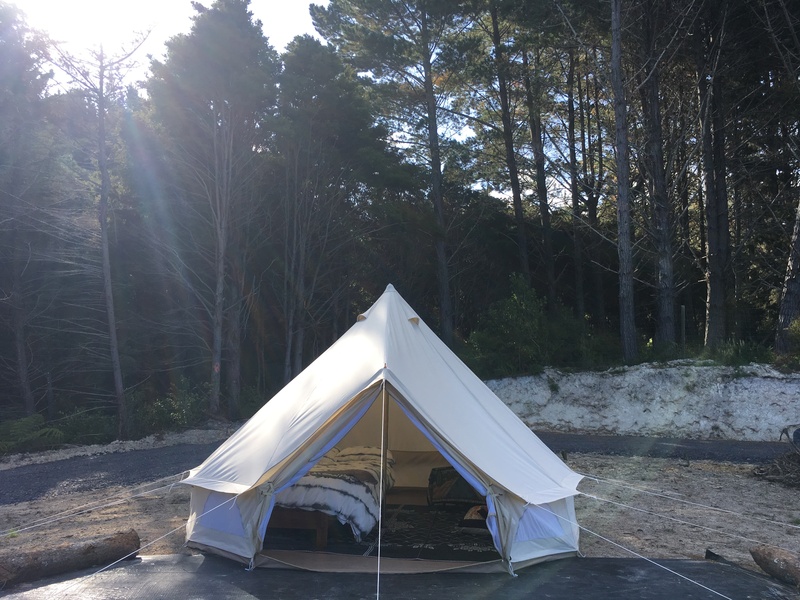 Camping in comfort – the best antidote to city life! 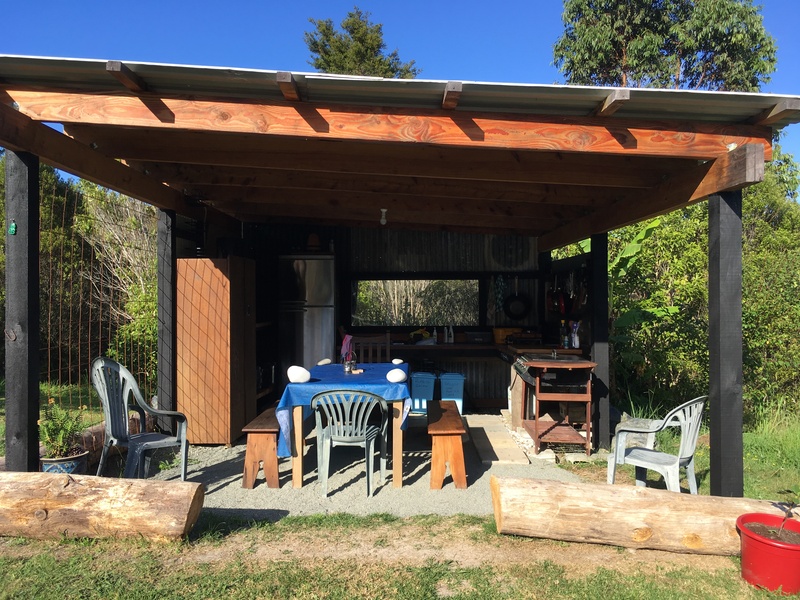 Our glamping option combines all we love about living in Northland – simplicity, being close to nature and relaxation. 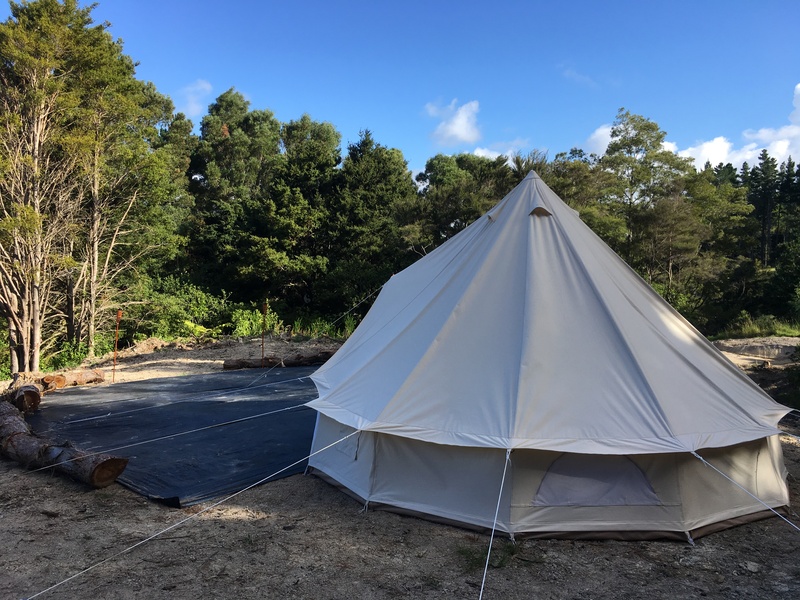 Our new tent has a lovely colonial feel and is roomy enough for a comfy double bed and lounging cushions, the perfect place for reading after a day at the beach or recuperating after ticking off one of the nearby walks. 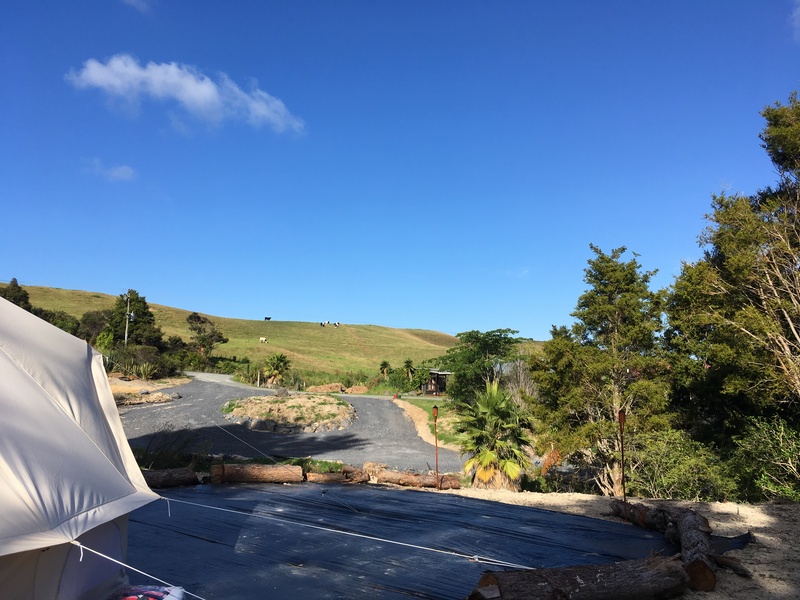 We have chosen our favourite spot for sipping mulled wine and star-gazing – there’s no light pollution here and the southern sky often puts on a spectacular display. 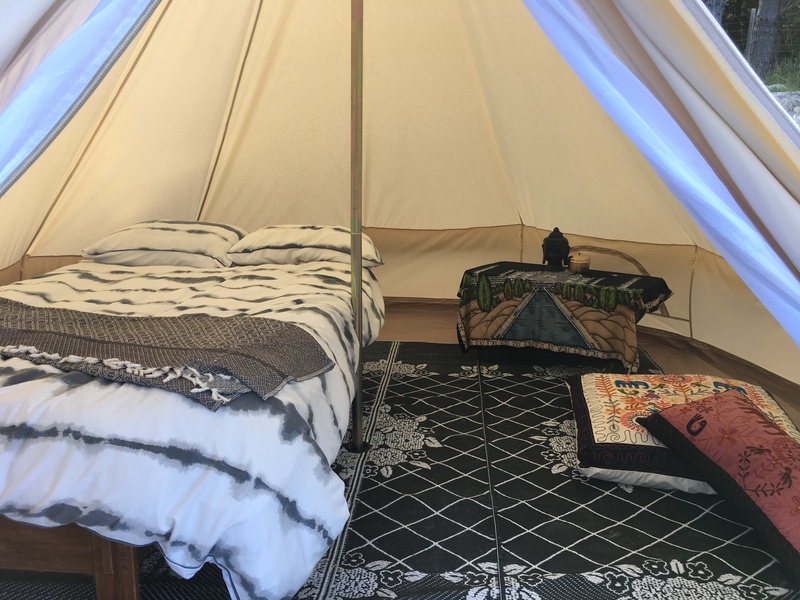 There is a gas camp cooker so you can enjoy a tea or coffee under canvas… and it is just a short stroll to the fully-equipped communal kitchen and BBQ area, where you can cook a feed and listen to tunes, play boardgames or meet new friends. 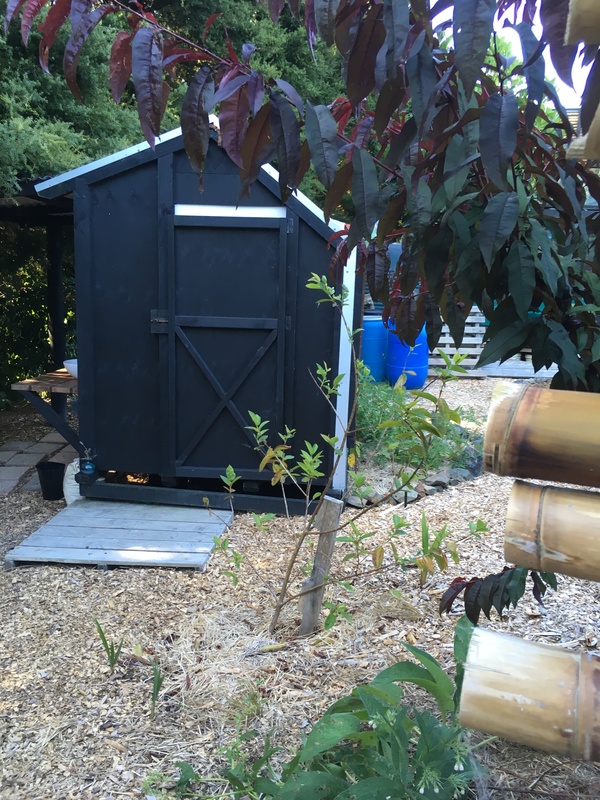 Our glampers can wind through a small bush track to use the gas shower and compost toilet block. Check availability through the calendar on our AirBnB listing – then book direct with us. Check in – 2pm Check out – 12pm.